This is a old modification of Genesis which was in my album. I thought of sharing with you this unique taxi converted car. 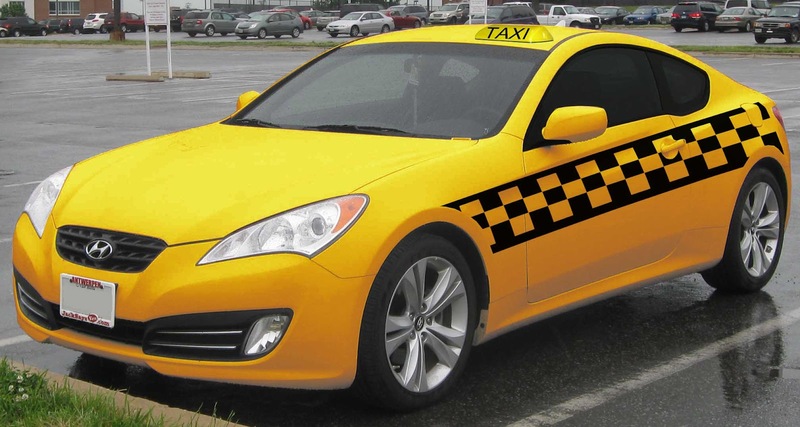 I changed the colour into yellow with checkered stripes and a TAXI roof lamp. Not other changes at all. Taxi service companies always try to give the best services in cheap prices but most time it can't possible. The pictures of the above taxis that your share, completely describes that how much luxurious, comfortable and stylish these rental taxis are.